Boston Medical Center’s Neurosurgery Department provides comprehensive surgical treatment of the spine, back and neck. We use a variety of traditional surgical and minimally invasive techniques to treat trauma, degenerative conditions and congenital problems. 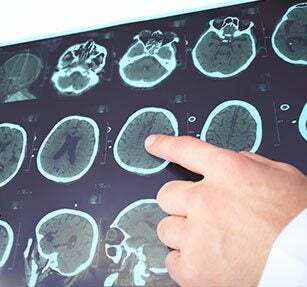 Our staff of neurosurgeons, physician assistants and nurses, as well as professionals from other departments, work collaboratively to provide you with a quick, accurate diagnosis and the most effective treatment options based on your individual needs. In addition, we coordinate any aftercare, such as physical therapy and follow-up imaging or procedures, as appropriate. Our neurosurgeons are skilled in minimally invasive techniques used to treat a variety of spine conditions. Some treatments that have typically required large, extensive operations now have less invasive alternatives that can help reduce the extent of the operation. The benefits of these less invasive approaches include post-operative pain, faster recovery time, lower infection risk, and better chance of minimizing damage to normal structures in the surgical area which can help maximize the effectiveness and durability of the surgical treatment. Our surgeons use an innovative trans-spinous approach to access and treat including herniated (slipped) discs and spinal stenosis. This procedure is performed in a way that preserves the attachments of the intra-spinous muscles onto the bones of the low back, thus causing less pain and improving the post-operative healing process. Other approaches to treating stenosis and disc disease involve the use of tubes inserted through the skin, through which the entire operation is performed. Finally, minimally invasive spinal surgery techniques for stabilization of the spine can often be used in patients who require spinal fusion due to trauma or advanced degenerative disc and joint disease. In such cases, screws and rods are implanted using percutaneous approaches (through the skin). Compared to open surgical procedures, these minimally invasive alternatives offer smaller incisions and reduce post-operative pain, infection risk, and recovery time. Dr. Emanuela Binello and Dr. Justin Massengale specialize in using minimally invasive spine techniques to treat a variety of spine problems.